On TAFEP’s 10th anniversary, we spoke to Roslyn Ten, general manager, Tripartite Alliance for Fair and Progressive Employment Practices (TAFEP), on its future direction, as the alliance enters a new era of workplace progression. They say strength and growth come only through continuous effort and struggle. It was 10 years ago that Singapore’s tripartite partners, namely Ministry of Manpower (MOM), Singapore National Employers Federation (SNEF) and the National Trades Union Congress (NTUC) came together to form the Tripartite Alliance for Fair and Progressive Employment Practices (TAFEP) to promote fair employment practices. Since then, TAFEP has become the champion to drive the adoption of fair, responsible and progressive employment practices in the workplace. 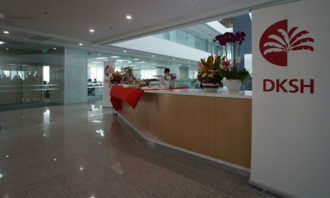 Leveraging its unique tripartite identity, the TAFEP team, led by general manager Roslyn Ten, has worked tirelessly to facilitate the adoption of fair, responsible and progressive employment practices. On the occasion of its 10th anniversary, we spoke to her about TAFEP’s future direction, as the alliance enters a new era of workplace progression. Q. Starting off in a small office space in Chin Swee Road with just four staff, and having grown to more than 50 strong today, take us through TAFEP’s journey. It’s amazing to see how much the organisation has grown in its role in promoting fair and progressive practices over the past decade. Since we were established to address the issue of discrimination at the workplace, we took an educational and promotional approach to change mindsets. We started off with a mass awareness campaign in 2007 to get employers to hire on merit, and see the skills and abilities of a candidate rather than the candidate’s age, gender, disability, race/religion or family status. The Tripartite Guidelines on Fair Employment Practices was launched to set out what merit-based practices meant and how these practices should be implemented at the workplace. That formed the bedrock for all of TAFEP’s work. Back in 2011, the influx of foreigners into Singapore was a heated issue. Together with our tripartite partners, TAFEP enhanced the existing guidelines to include the hiring and development of a Singaporean Core, calling on employers to recognise Singaporeans’ aspirations for good jobs and prospects. Moving beyond awareness, TAFEP reaches out to employers to support the implementation of fair and progressive employment practices. We provide tools and resources such as workshops, publications to help employers gain more knowledge and practical skills to adopt good workplace practices that will benefit their employees and their organisations. We also engage companies on a deeper level by reviewing their full spectrum of employment practices for possible gaps. This measured approach has enabled companies to plug those gaps and put in place progressive practices to be ready for future challenges. In recent years, TAFEP has evolved from being just an enabler to an advocate and champion for progressive employment practices. In 2014, TAFEP expanded its scope to support employers in implementing work-life and age management programmes in response to the changes in the employment landscape. At the same time, TAFEP continued to urge firms to consider Singaporeans fairly for job and development opportunities in support of the Fair Consideration Framework introduced by MOM in September 2013. Increasingly, TAFEP has taken a stronger stance on discriminatory behaviour by working closely with MOM to correct errant employment practices. In the years ahead, we foresee a closer collaboration between TAFEP and our tripartite partners. This strategic collaboration, along with new initiatives such as the Human Capital Partnership (HCP) Programme that MOM launched at TAFEP’s 10th Anniversary in November 2016, will go a long way towards building a progressive and engaged workforce. Q. During that period, how have you seen the HR landscape transform in Singapore? We can see more companies are recognising the need for a strong human capital foundation. Rather than seeing employees just as a resource, they are now more valued as a source of capital – human capital. This means looking into the employees’ wellbeing as well as their career growth by investing in learning opportunities so employees are more productive. one that has strategic importance, one that drives talent strategy for the organisation. 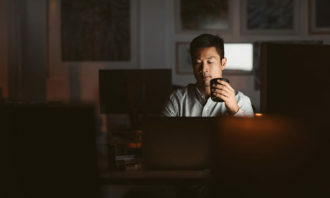 This is especially crucial for small businesses which might lose out in this war for talent if they fail to incorporate progressive HR practices such as work-life strategies. Q. Consequently, what would you list as TAFEP’s key milestones in this journey? Our efforts have led to greater awareness and adoption of good employment practices among employers and employees. At last year’s TAFEP Exemplary Employer Award, the quality of each entry and the number of finalists (from 10 in 2010 to 33 in 2016) improved despite the more stringent evaluation criteria. We were delighted to see more SMEs winning the award, from just one SME in 2010 to four SMEs in 2016. From this, we can see that more companies are recognising the benefits of fair employment practices and consciously making an effort to implement them. the increased number of HR professionals attending TAFEP’s workshops and seminars. As of 2016, over 7,322 professionals had benefited from these, from 981 in 2010, a remarkable sevenfold increase. Q. In 2017, what are some of the key campaigns that TAFEP is planning to launch to support employers? Stronger Singaporean core by investing in development of local employees across levels (developing the 2/3). Stronger complementarity between local and foreign staff (1/3 complementing the 2/3 instead of 1/3 competing with the 2/3). Skills transfer from foreign to local employees to enhance capabilities of the local workforce (achieving 2/3 + 1/3 > 1) TAFEP will engage employers who are keen to join this programme was HCPartners, and help to identify opportunities and grants that will best meet their human capital development needs. We will also continue to change mindsets with our mass awareness campaigns, and get everyone at the workplace to be more conscious of their biases and not to discriminate. Q. As you look to the next 10 years, how will you encourage employers to stay progressive in terms of employment practices? TAFEP has always prided itself on being the only tripartite entity in Singapore that focuses on protecting the employees from workplace discrimination. As the global economic landscape evolves, the way we engage companies and individuals will also change. Rather than just reiterating the benefits of putting in place progressive practices, TAFEP will work hand-in-hand with employers to look at their existing employment practices holistically and support their adoption of progressive practices. Employers will then be able to plug any potential gaps, allowing them to achieve business sustainability and harmony. Having experienced the success of implementing progressive practices, we hope to see them effecting change in others. TAFEP will continue to leverage our unique tripartite identity and work with NTUC, SNEF and the government to address any emerging trends or issues related to employment practices. This will help pave the way for a forward-looking and progressive workforce. Q. What is your prediction for the human resources function? As the Manpower Minister Lim Swee Say has rightly put it, we will see a shift from a manpower-led to a manpower-lean economy. It is therefore crucial for companies to put in place progressive employment practices. What does this mean for HR leaders? It means being open and flexible to the changing paradigm. HR leaders have to take ownership of strategy-making in their organisations. 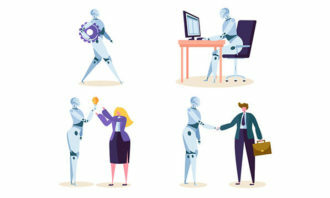 HR and management must work ever closer together to ensure business sustainability through the attraction and retention of talent, boosting of engagement and productivity, and continual investment in human capital. This should be the way forward for all HR leaders in Singapore so as to stay competitive and progressive. 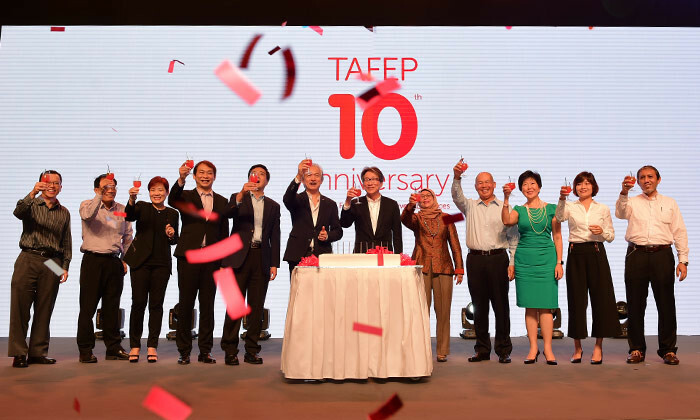 Lead photo: Working towards a fair and progressive workplace: Manpower Minister Lim Swee Say (centre) and guests toast TAFEP’s 10th anniversary.